The necessity to protect the fundamental human right to dignity is never more apparent than on the streets amongst the homeless community. 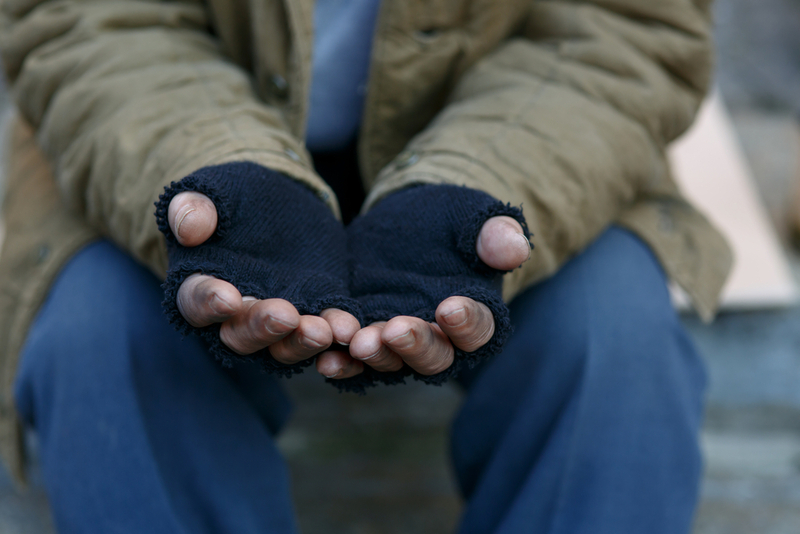 In order to truly effectuate a charitable act, we must allow those in need the opportunity to bear their dignity. That recognition of the essential humanity of a fellow human in need is a larger gift than whatever the handout is that you may be trying to present. On multiple occasions, during conversations with those struggling with homelessness, the same sentiment has been echoed; a deep frustration due to lack of acknowledgement, and basic human respect from passerby who perceive the homeless as less than human, as inanimate objects, part of the landscape, and often with disgust. With each occasion, I have spent time helping to deliver food to those in need, I have been reminded yet again of how important it is to meet the other person’s eyes, to speak with them, not at them, and to hear their story if they want to tell it. We put together over one hundred sack lunches which included water bottles, meat and cheese sandwiches, apples, and chips, to pass out on Skid Row. Surveying the area as we hunted for parking, from the comfort of an air-conditioned car, one thought looped through my mind, so many. Even with the recent rains we’ve experienced, the heat of the day made it near impossible to smile and not shrink away from the rising stench of human waste, uncollected trash and unwashed bodies that permeated the air. Our aspirations to help provide meals did not prepare us for the immediate distrust by the homeless of us as outsiders. Their often combative language and behavior was a response unlike that which what we have experienced previously in other areas, and the experience added another facet to our understanding of the community. Unable to carry all the lunches we had packed, we loaded our arms and began walking around attempting to pass them out. Although some people accepted the bags from us, most did it reluctantly, and sometimes with hostility. We were soon approached by a man with a shaved head and tattoo covered arms and chest. He stopped pushing his cart to ask what we were doing, and when he understood that we were trying to pass out lunches, immediately offered to help us. He brought his cart to the car so that we could bring all the lunches at once and told us to follow him to a corner on the other side of the street. He explained that we had to allow the homeless to approach us. It was immediately apparent that this man was well known in the area. Every homeless person passing by greeted him. Once we were settled on the corner of the street, the man introduced himself as Albert, an ex-convict. “I never had a chance,” he reflected. Today, though on the streets of Skid Row, Albert is free from prison and has chosen to break through the bonds that held him in a vicious cycle of illegal activity and prison by continuing his walk down a road of sobriety, and by dedicating himself to helping others. Soon we had a line of people coming up to us, chatting with Albert and by association with our team, allowing us to successfully hand out all the sack lunches. Albert explained that the homeless need to feel empowered and dignified in receiving handouts by having the choice to come to us. We exchanged contact information with Albert, thankfully accepting his offer to include him in future work for our organization. We headed back to the office with a deep sense of humility, and gratitude for having met our new friend.